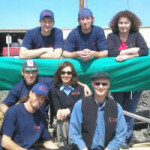 Port Townsend Rigging delivers experience, knowledge and personal service. Our expert and comprehensive rigging services will enhance your sailing through improved performance, ease of operation and safety of your vessel. With more than 25 years experience in the Port Townsend marine trades community we’re dedicated to improved sail handling enabling and encouraging you to sail more and motor less.